A perfectly planned wedding is one that not only matches the style and preferences of the bride and groom, but also includes special details that all of their guests will enjoy. Angela and Bill could write a book about putting together a celebration that truly includes something for everyone. 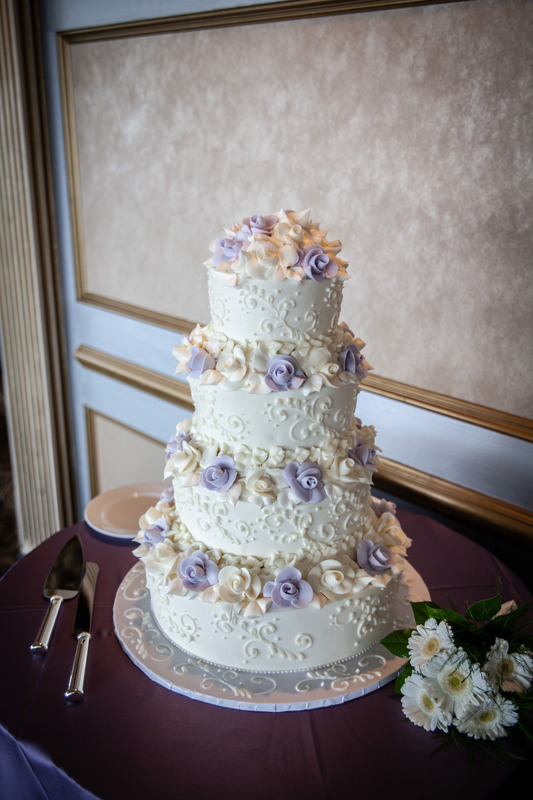 Their wonderful reception was held at the elegant LeMont Restaurant on top of Mount Washington, overlooking the city of Pittsburgh. The view from the LeMont ballroom is one that absolutely can’t be matched. While guests enjoyed the view, they were treated to an amazing variety of food throughout cocktails and dinner, which included a traditional Pittsburgh cookie table that allowed everyone to take home lots of great treats to enjoy all weekend long. The music for the night was perfect for the wide age ranges of guests who attended the reception. I was able to play songs from traditional Italian music, to Rat Pack styled standards, all the way to today’s biggest hits. Angela and Bill put together an evening that would be unforgettable for all their closest family and friends. Their careful attention to details made it so everyone could relax and enjoy a special evening celebrating with the them. At the end of the night, the newlyweds were surrounded by loved ones as the final song finished and their perfect day came to a close. A perfect ending to a perfect day. Whether you’re getting married right out of college, or a little later in life, your parents will always have an impact on your wedding day. I’ve seen many couples find ways to honor their moms and dads in some wonderful and memorable ways. 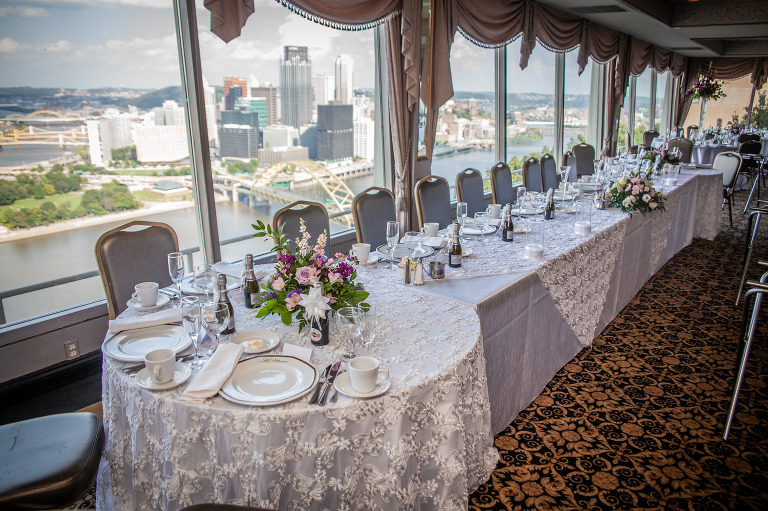 Lindsie and Doug did something extra special for their parents on their perfect day at the Le Mont Restaurant in Pittsburgh, PA.
A quick note about the view at the Le Mont – WOW! For the parent dances, Lindsie allowed her dad to put together a custom medley of song snippets, each with a special meaning for the big day. It was awesome to see Lindsie’s expressions as each song started. Doug and his mom also danced to a unique group of song snippets, but theirs included songs like The Chicken Dance, Jump On It, and When Irish Eyes Are Smiling! This was not only hilarious, but extremely touching to see Doug and his mom have so much fun during their special moment. After the parent dances, the “Bridal Party Dance” really got the evening going with “Watch Me” by Silento! After setting such a great tone, all of the wedding guests were ready to get the celebration started. The newlyweds, along with their parents, danced, sang, and partied with friends and family from beginning to end. Lindsie and Doug are now headed off to Jamaica for their honeymoon. 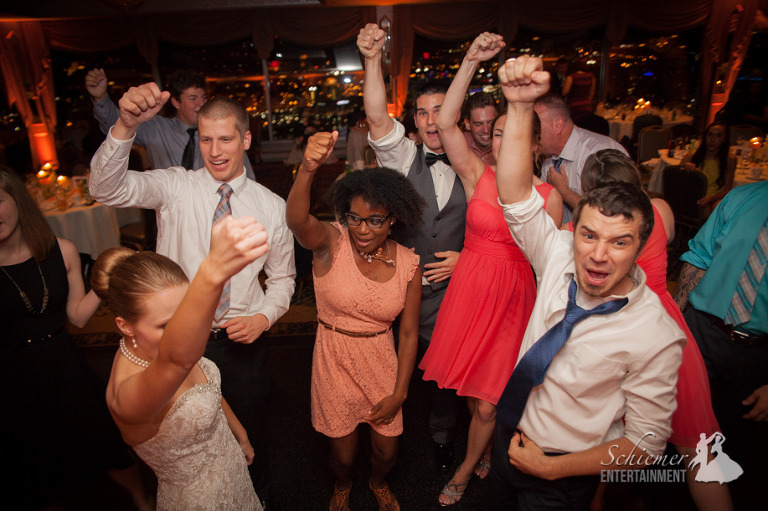 I’ve DJ’d a lot of weddings for people who are planning from out of town. One of the biggest choices when having lots of friends and family coming to Pittsburgh for your wedding is choosing the right reception venue to show off our wonderful city. 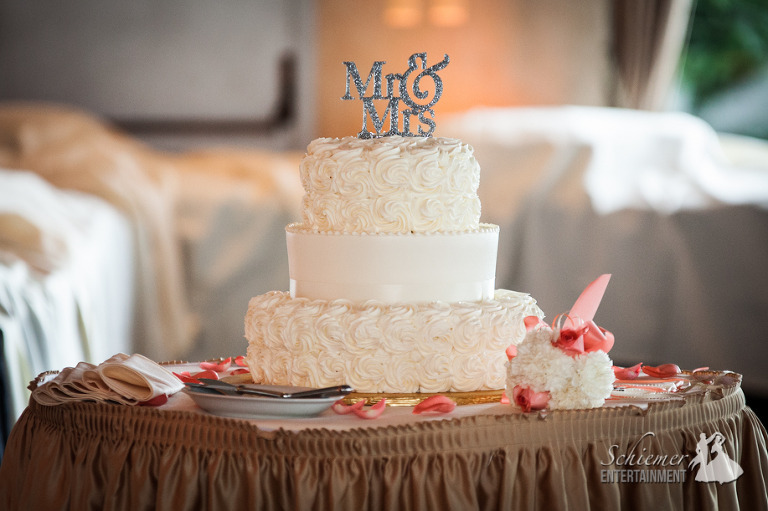 Kayleigh and Andrew could not have made a better choice than having their elegant celebration at the LeMont on Mount Washington. Not only was the ballroom the perfect fit for their guests, the view of the city was spectacular all evening long. I loved this sign they included on their cookie table! Kayleigh and Andrew did a great job putting together an evening that suited the various tastes and preferences of all of their guests. When it was time to dance, everyone was quick to jump up and join in the celebration. The happy couple is now off for a well deserved honeymoon in Hawaii! Planning a wedding is challenging. It’s even more so when you’re preparing everything from out of town. I tend to work with many people who used to call Pittsburgh home, and want to celebrate their big day back in the ‘Burgh. 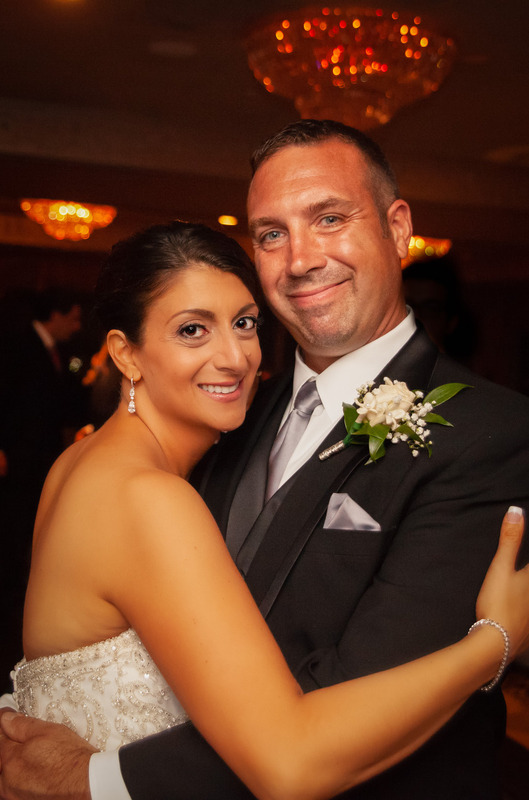 This weekend I was the DJ for Jennifer Prentice and Steven Derr at the LeMont. Jen and Steve moved away from Pittsburgh but wanted to have their wedding reception overlooking the 3 rivers of our great city. 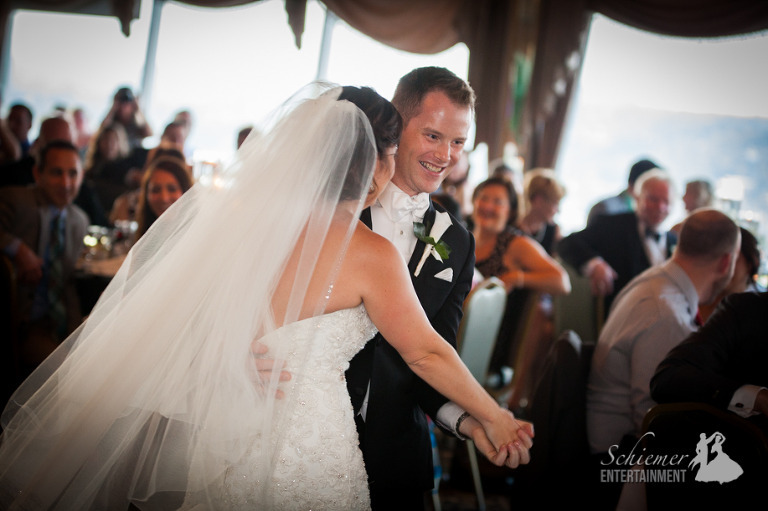 One of the reasons Jennifer and Steven chose the LeMont was because of the amazing view. What a great way to show out of town guests the beauty of the Pittsburgh skyline. The music was fun and upbeat. Jen and Steve chose songs from all genres to be sure everyone could enjoy themselves throughout the night. When it was time to cut the cake, Jennifer and Steve both let each other have it! 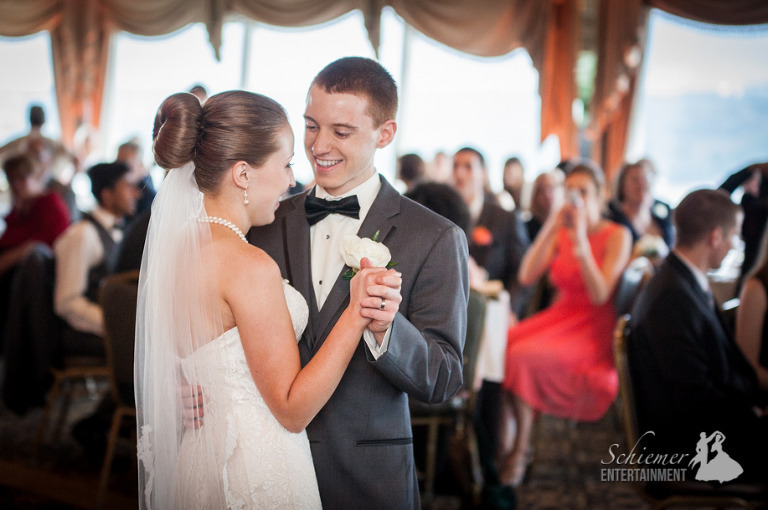 Their first dance, to Brad Paisley’s “Then”, was sweet and adorable. The LeMont is the perfect place for guests to relax, visit, dance, and enjoy the view. The night ended with all of the newlyweds’ friends and family crowding the dance floor and singing. It was so much fun to know that so many people came from near and far to join in the celebration of this wonderful couple. These newlyweds came home to Pittsburgh and gave their guests a day to remember. Jennifer and Steve are about to travel even further for their honeymoon in Hawaii. 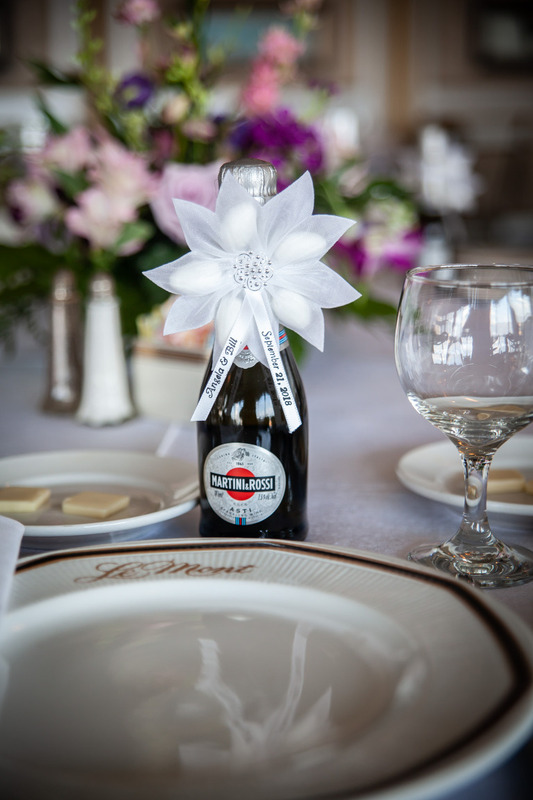 I encourage all of my clients to find clever ways to utilize my presence on their big day. 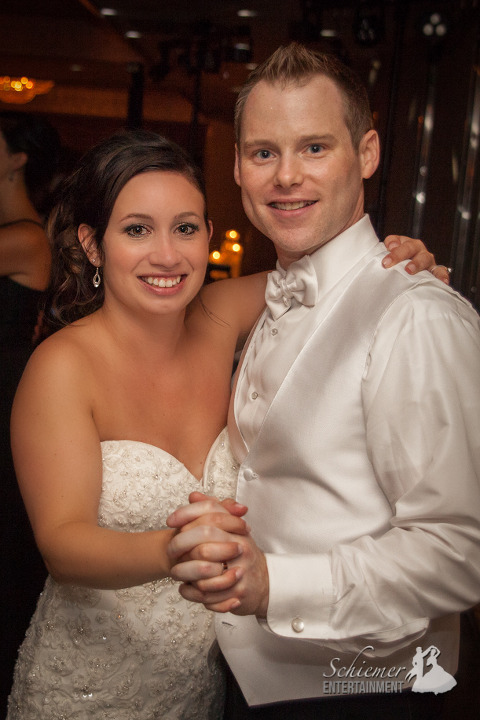 I love being a wedding DJ, and thoroughly enjoy helping to create special moments for the newlyweds and their guests. This past weekend I was asked to provide some unique and fun contributions for the wedding of Gwen Zajdel and Steve Majewski, held at the LeMont overlooking Pittsburgh, PA. I have to mention how Gwen and Steve used striking fall colors throughout the LeMont, everything looked amazing! Candy apples as favors was complete genius. After their grand entrance, Gwen and Steve danced to a special medley of Michael Buble, The Black Eyed Peas AND Frank Sinatra! During cocktail hour and dinner, guests were entertained by the Hilil String Quartet. These brothers and sisters have been playing together for over 9 years and performed flawlessly. (They were also a joy to work with.) I was blessed to work with 2 other amazingly talented vendors, Dawn from DMB Videography and Dana from Scheller Image and Design. I can’t say enough about how important it is to hire talented and accommodating vendors like these two. Their attitude and professionalism kept everything running smoothly while they captured tons of memories for Gwen and Steve to cherish. Steve, Gwen and I had a great time talking through the music for the reception. 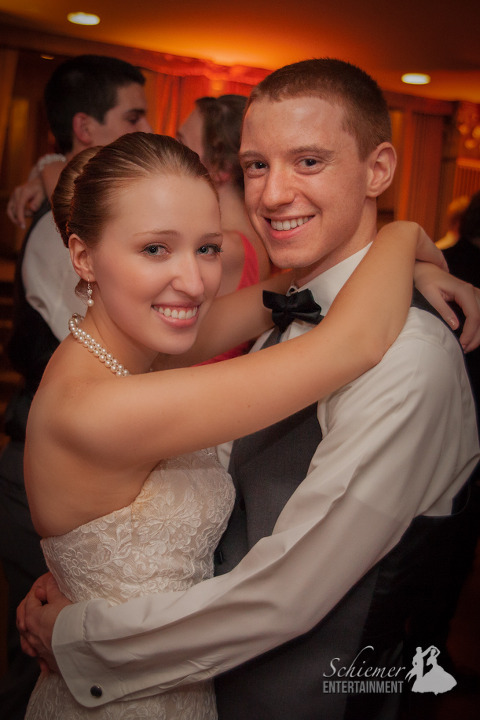 They had a ton of fun ideas including their special first dance medley and a unique take on the Anniversary dance. After dinner, guests JAMMED the dance floor. Clearly everyone was there to celebrate! Sometimes I am asked, “How many songs do you play for dancing?” The answer depends on how the day is planned and how well everything is executed during the reception. 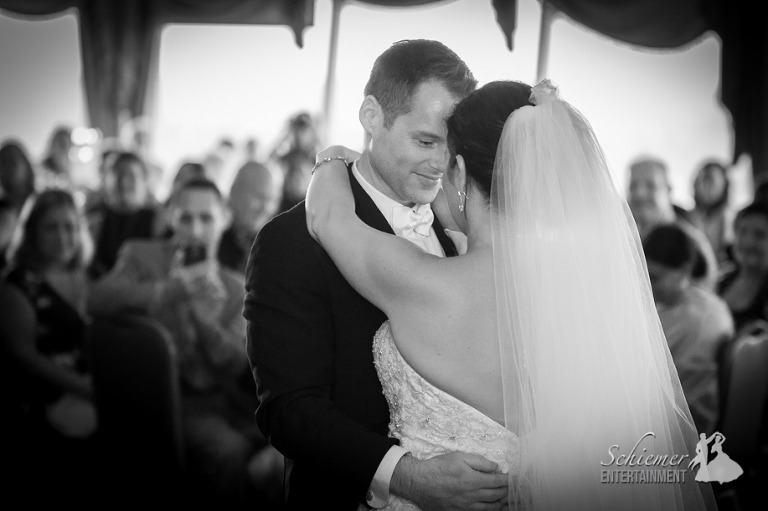 This couple scheduled an evening with LOTS of time for dancing, and because everything went flawlessly, there was plenty of time for everyone to dance to almost every style of music. I’m so grateful that Gwen and Steve included me in so many of their plans. I love getting to work for such fun, creative and detail oriented people. These love birds are now off for a well earned two week honeymoon in Figi. Family, or perhaps in this case I should say la famiglia, is one of my favorite parts about DJing at weddings. The wedding celebration is an opportunity for every relative to do their best to create the perfect day for the bride and groom. Last night I saw a wonderful example of the importance of la famiglia at the reception of Heather Wojtowicz and Nicky Papa held at the LeMont overlooking downtown Pittsburgh, PA.
During cocktail hour the flower girls were dancing to the Italian music – too cute for words! When I first met Heather and Nicky it was clear how much they loved music. We had a great time coming up with songs to use throughout the reception. They wanted to make sure everyone had a good time so they told to play anything necessary to keep their friends and family dancing. Instead of wedding cake, guests were treated to a dessert of tiramisu. A great twist on an old tradition. 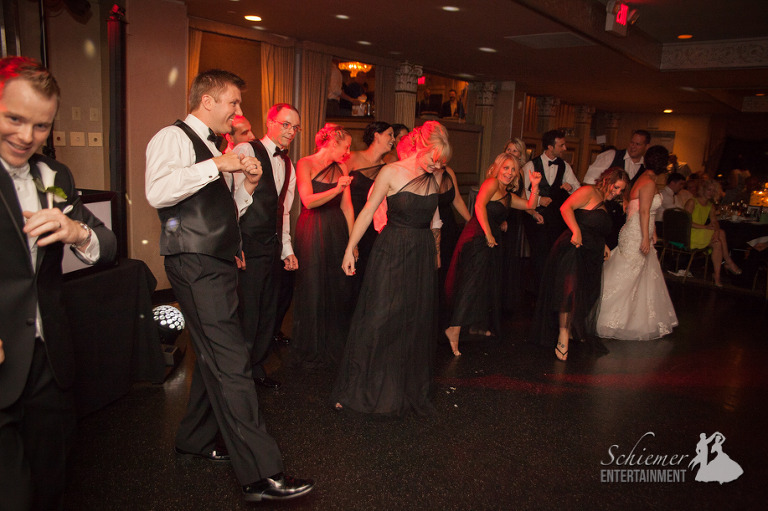 Once the dance floor was open, it was packed with family and friends of all ages! Heather and Nicky knew the words to every song I played. I loved watching them both sing along to some old school rap songs. All of Heather and Nicky’s relatives were so much fun, they made everyone feel like part of la famiglia. After a wonderfully perfect evening surrounded by their loved ones, the newlyweds are now ready for their Bahamas honeymoon. Congratulations to everyone!